Visit Sololá Market, an authentic indigenous market where men and women wear typical clothing from their communities and come from the different surrounding villages, which makes it even more colorful. At 07:00 a.m., you will be picked up at your hotel for transfer to Sololá Market which is an authentic indigenous market where men and women wear typical clothing from their communities and come from the different surrounding villages, which makes it even more colorful. Today Sololá is still one of the few villages from the highlands where people proudly wear their traditional clothes, which, depending on the fabrics and threads used, as well as the amount of embroidered motives, portray the social and economic status and position of the civil and religious hierarchies. Continue to Lake Atitlán, one of the most beautiful in the world, with its crystalline-azure waters in the crater bowl below. 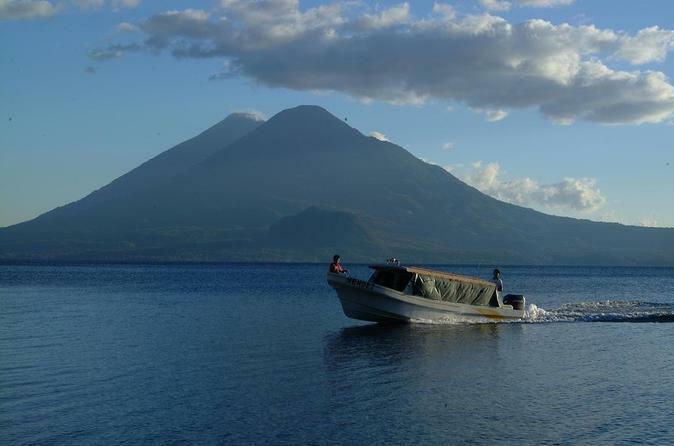 Atitlán is the ideal place to come in contact with Guatemalan folklore. Twelve Indian villages surround the Lake, and their inhabitants are descendants from the great Quiché, Cackchiquel, and Tzutuhil nations. After lunch, return to Guatemala City.